The scheme is launched to provide conducive environment for industrial development. 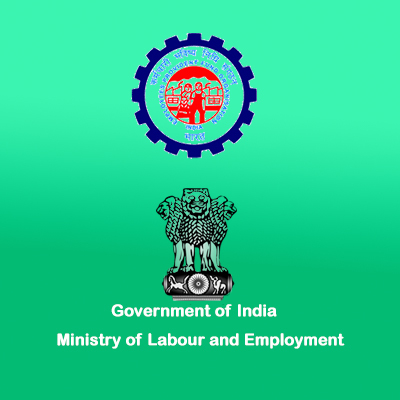 Allocation of Unique labour identification number (LIN) to labour to facilitate online registration. This portal will help timely redressal of grievances. Single Harmonized Form to make filing complaints simple. Filing of self-certified and simplified Single Online Return by the industry. Labour inspector to upload inspection report within 72 hours. An UAN is allotted to EPF subscribers to make Provident Fund account more portable and universally accessible by centrally compiling & digitizing their information. The portability of the Social Security Benefits to the labour of organised sector across the jobs and geographic areas will be ensured. It envisages on imparting on-the-job training to apprentices. Government will reimburse 50 percent of stipend paid by employers to increase employ ability of youth by giving them skills. Revamped Rashtriya Swasthya Bima Yojana – Introduction of convergence of social security schemes namely Aam Admi Bima Yojna and National Old Age Penskion Schemeon RSBY smart card through improved IT framework. Central Government will be paying the 8.33% EPS contribution of the employer for the new employment. All industries registered with Employees’ Provident Fund Organization (EPFO) can apply for availing benefits under the scheme. It is targeted for employees earning wages less than Rs. 15,000/- per month. The scheme will be in operation for a period of 3 years and GOI will continue to pay and all new eligible employees will be covered till 2019-20. Under the scheme, GOI will contribute Rs.1000 per year to each Nation Pension Scheme-Swavalamban account opened in the year 2010-2013 for five years. The scheme is voluntary and open to eligible citizens in the age group of 18-60 years. Eligible individuals in the unorganized sector can open an account through their Aggregator and get an Individual subscriber Account. The account is regulated by Pension Fund Regulatory Development Authorities (PFRDA). There is no minimum amount required per annum or per contribution and subscriber is free to choose the amount he/she wants to invest every year. Subscriber should not be covered under any other social security schemes like Employees’Provident Fund and Miscellaneous Provision Act, The Coal Mines Provident Fund and Miscellaneous Provision Act etc. The existing subscribers of Swavalamban Scheme would be automatically migrated to APY, unless they opt out. Swabhimaan is a campaign which aims to bring banking services to large rural areas. This campaign is to be operated by the Ministry of Finance and the Indian Banks’Association (IBA) to bring banking within the reach of the masses of the Indian population. The scheme is launched with an objective to set up a network of technology centers,incubation centres to accelerate entrepreneurship and also to promote start-ups for innovation and entrepreneurship in rural and agriculture based industry. SFURTI is to organize the traditional industries and artisans into clusters to make them competitive and provide support for their long term sustainability by way of enhancing the marketability of products, improving the skills of artisans, making provision for common facilities and strengthening the cluster governance systems. It is a programme launched to provide for the welfare of areas and people affected by mining related operations. The main objective is to minimize/mitigate the adverse impacts, during and after mining,on the environment, health and socio-economic conditions of people in mining districts and also to ensure sustainable livelihood for the affected people. The beneficiaries include people living in directly affected areas and displaced family under the Land Acquisition Act. It is implemented by the District Mineral Foundations (DMFs) of the respective districts using the funds accruing to the DMF from miners. District Mineral Foundation (DMF) is a trust set up under Mines and Minerals (Development& Regulation) Amendment Act, (MMDRA) 2015 as a non-profit body in those districts affected by the mining works. The DMFs have been directed to take all major decision in a participatory mode, in consultation with the ‘gram sabhas’ of the respective villages and activities taken under“polluter pays principle” cannot be included under PMKKY. 60% of the funds will be utilised for high priority areas such as Drinking water supply,health care, sanitation, education, skill development, women and child care, welfare ofaged and disabled people and environment conservation. 40% of the fund will be utilised for physical infrastructure, irrigation, energy and watershed development. It is a project launched by the Indian Bureau of Mines in collaboration with National Remote Sensing Centre (NRSC) and Department of Space for monitoring of Mining activity through satellite. Bhuvan-based services will be used for the monitoring of periodic changes of the mining areas within mining lease boundary and development of mobile app for field data collection to verify the ground realities.